Missouri primrose, also known as yellow buttercups, painted gold across this little patch of country near New Berlin, Texas. A mist hung in the air, and temperatures were in the 30s. 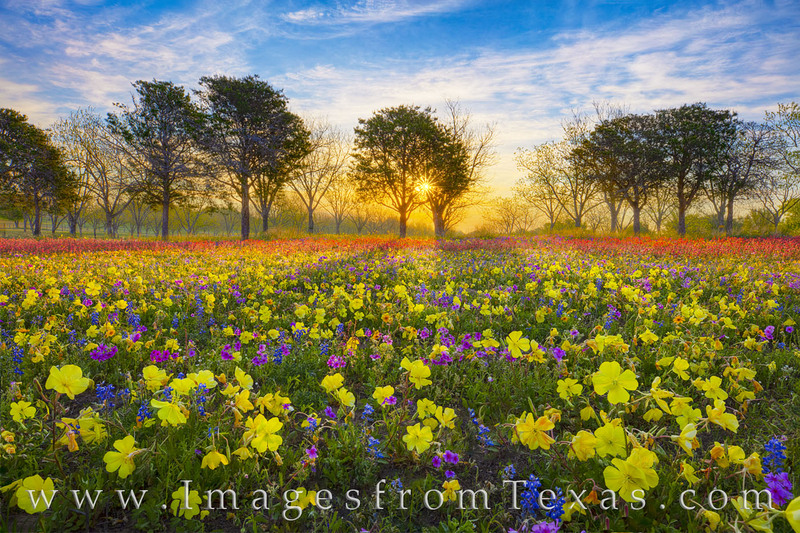 In the distance, the sun peeked through the pecan trees, slowly bringing warmth to the field of wildflowers. This photograph was taken on private land thanks to an invitation from the land owner. Photo © copyright by Rob Greebon.